Oh hello there everyone! It’s been a while. I was out on the road working on a gig and left Jess to pick up all my slack when it came to the blog. And I must say, she’s done quite a great job! But I’m back and ready to get my hands dirty again! Speaking of being out on the road….my job has me travel quite a bit. 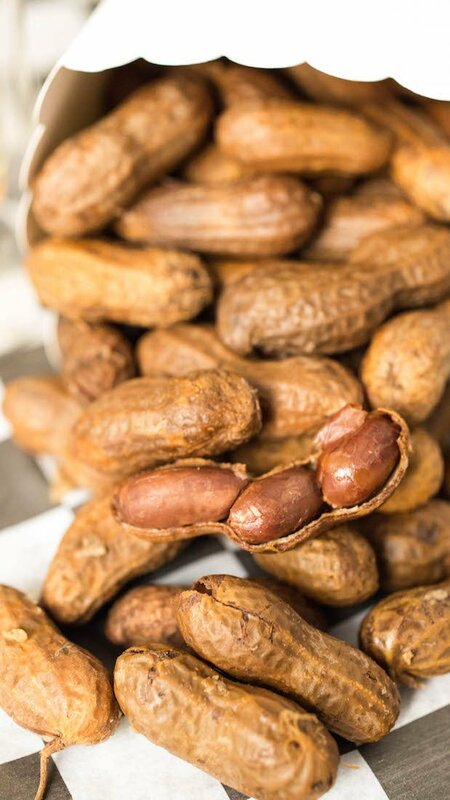 The very first time I had boiled peanuts was when I was on a job in Atlanta, GA. Before then I had only had shelled peanuts in restaurants where I could litter the floor with the empty shells or at local baseball games while rooting for the home team. And they were definitely never boiled. That whole concept was very foreign to me and I may have been a little scared of what a boiled peanut would taste like. Much to my surprise, I liked them a lot! Garlic and onions both seemed like flavors that peanuts would soak up quite easily and how can you have peanuts without beer?! You can’t! And the best thing about this recipe is, all you have to do is throw everything in the crock-pot and let them do their thing for 12-24 hours. 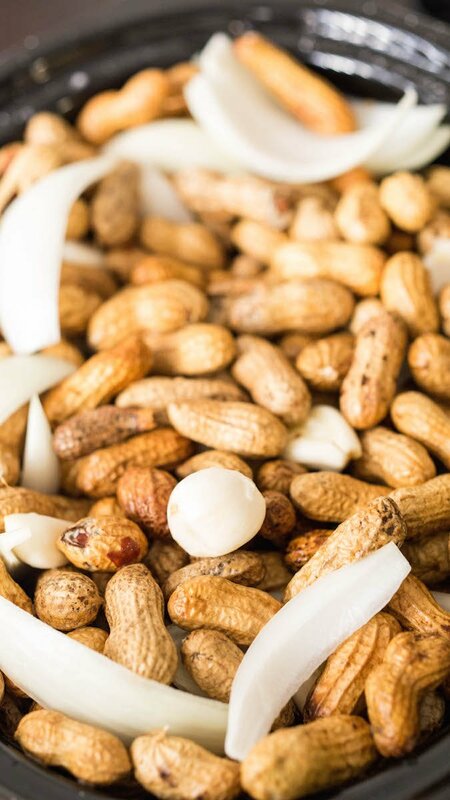 The peanuts become so soft and juicy and incredibly flavorful. They are a great addition to any cookout, hanging with friends watching the game, or just something tasty to have around the house to snack on. 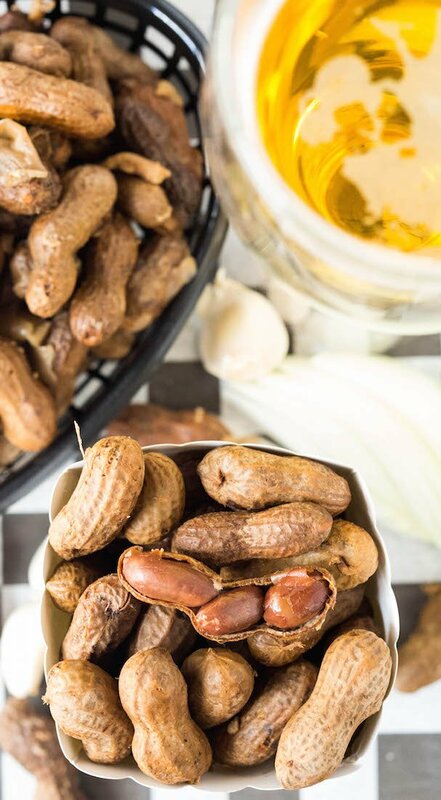 Whether it’s this recipe, spicy cajun, or some other fun combination of ingredients you can come up with, you won’t regret trying this twist on the original shelled peanut. Peel all garlic cloves and cut the onion into wedges. 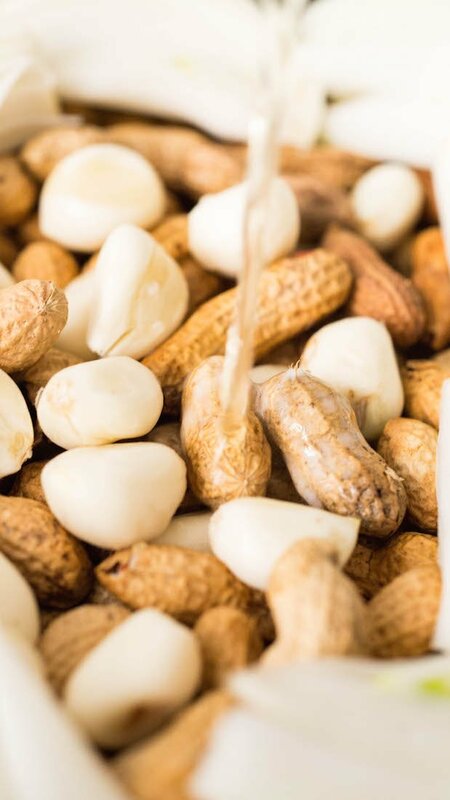 Put all two pounds of shelled peanuts into your crock-pot with garlic, onions, and salt (The crock-pot will be filled to the rim! But don’t worry, as the peanuts cook down a bit, more room will be made). Pour both bottles of beer over the mix and then pour in water so that the peanuts are covered with liquid (keep an eye on the peanuts. Add water throughout the process if necessary. I also stirred my peanuts every once in a while). Cook the peanuts on low for 12-24 hours (I cooked mine closer to 24 hours just to make sure they were nice and soft. The longer they hang out in the brine, the more flavorful they become as well. I think the peanuts are served best warm, but you can also snack on these guys cold throughout multiple days). Please define shelled. Shells off or on? Did you use green or raw peanuts? Yes, we used raw peanuts. 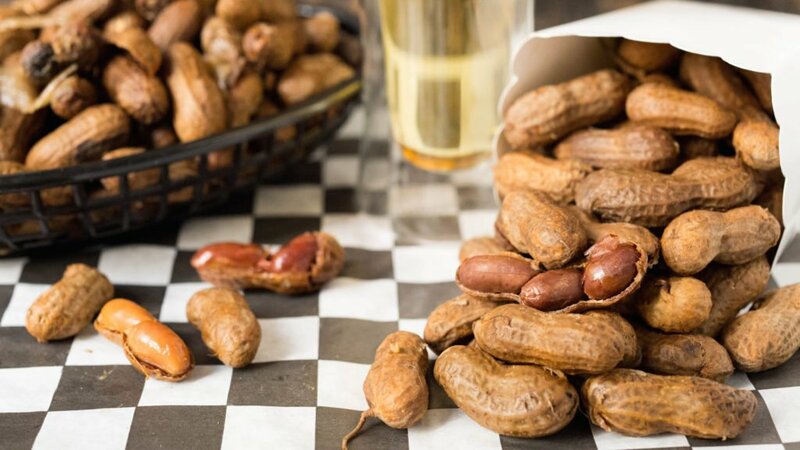 Boiled peanuts are always best using fresh picked green peanuts, but depending on where you live, this may not be an option.